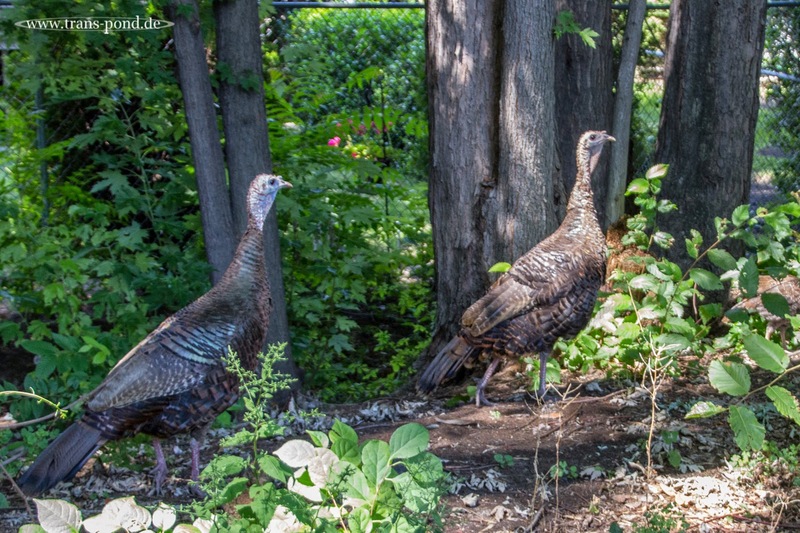 We were walking a bike path in Arlington, MA, when we encountered these 2 turkeys with a chick. They were just picking at the plants left and right, looked at us curiously and at some point crossed the bike path. Amazing to see them so close and unstressed in the middle of a major town.